Pacific Shores B104 was the newest listing to market and has attracted some serious interest over the last few days. Before I could even finish this blog post, the property went from an active condo for sale to a property in escrow. Listed on Thursday 9/5, it only took the unit 2 days for a buyer to feel strongly enough to write an offer. When units are priced right in Pacific Shores, buyers pounce on any opportunity to snap a unit with potential. The unit itself is a 2 bed, 2 bath unit with 745 sqft plus an extra 50 sqft worth of lanai space. In good condition, the unit can be used as is, but would be elevated to another with a remodel. Brought to market in the first week of June, it was easy to anticipate the strong demand Pacific Shores B307 was going to command. 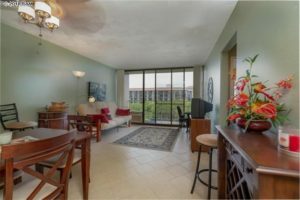 Remodeled a few years ago and sitting 3 floors up, the unit offers a great view from its lanai. With plenty of natural flowing in from the floor to ceiling window/doors at the back of the unit, the lighting adds another dimension to the living area. With 2 bedrooms, 2 bathrooms, and 745 sqft, the unit is spacious for use as a 2nd home or a short term vacation rental. Units here can generate a strong cash flow, due to Pacific Shores desirable location on South Kihei Road. Brought to market at $450,000, the unit was met with immediate interest. The sellers cashed out at a right time and were more than happy with their decision to do so. After only 4 days, the unit entered escrow and closed for $15k above asking at a final sale price of $465,000. Pacific Shores has seen an okay year with 4 sales worth a running sales volume of $1.73 million and is set to grow with the 2 units in escrow. With an average days on market of 66 days, buyers should be ready to move on a property they like. Impressively, all 4 units were sold within 90 of being listed. All of the units sold in 2018 were 2 bedroom units. Maintenance fees for a unit will run an owner around $500-$550 per month. 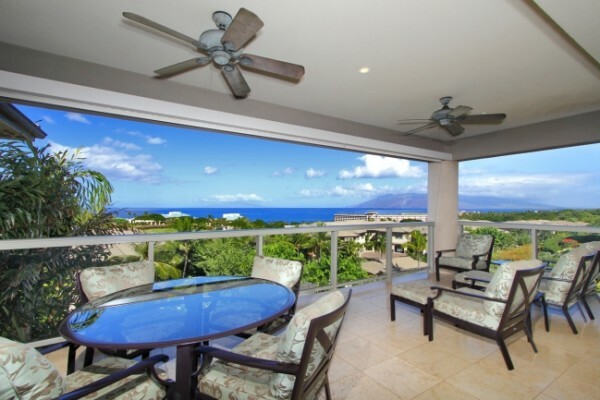 In terms of purchase prices, buyers like Pacific Shores because of the low barrier to entry, convenient Kihei location, and the strong rental demand among visitors. The ability to generate cashflow when the unit is not in use gives owners a ton of flexibility to what they want with their unit. 1 of the units sold this year closed in the upper $300k range where it was surprisingly upgraded with newer finishes and a lot of curb appeal. The remaining 3 units sold in the mid to low $400k range and also had some renovation work done. For the most part, buyers pay close to asking price and should expect spend about $500-$600/sqft. 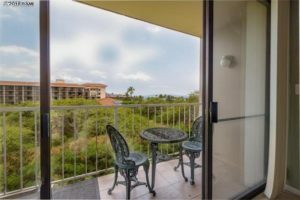 The $400k price point is representative of the sweet spot in the community because most units have experienced a medium tier remodel and aren’t able to command higher prices like some of the upper tier Kihei condos like Kamaole Sands, Maui Kamaole, and Sugar Beach Resort. For a complete breakdown of Pacific Shores sales history, check out our data set of all sales at Pacific Shores over the lat 10 years. At the moment, buyers have no active units to choose from in Pacific Shores. Usually, we will see listing activity picks up as sellers are getting their units ready for the winter visitors. In a market where buyers are writing offers on units within days of coming to market, interested parties must stay on top of new listings. The best way to stay up to date is by signing up for our Pacific Shores new listing email alert.